In the non profit sector, asset management includes income and expense items found on the Cash Flow Statement. It includes the dollars raised through grants and fundraising drives, the donated office space or furniture, phone and internet expenses, your list of members or donors, the volunteers on the Board of Directors or manning the bake sale. There is a wide spectrum of fund development strategies found in our local non profits. Some non profits are funded through the government, others are completely dependent on service sales, while others still rely on individual donations to cover only the necessary expenses. Regardless of the means, every non profit is competing against both local and distant non profit for all resources. One just has to look to the success of national (i.e. Heart & Stroke Foundation) and international charities (i.e. World Wildlife Federation) to see that competition for funds is everywhere. Through this project, the Golden & District Community Foundation has identified the need for local groups to be better equipped when making a request for funds. This summer a project titled, Building Long-term Community Fund Development Capacity & Sustainability, is designed to change our non profit organizations' de facto fund development (FD) strategy of ad hoc grant writing to a long-term and sustainable strategy. Through an AFP course and follow-up coaching, local staff and volunteers will build fund development capacity so that they can craft and execute fund development strategies that will address accepted community priorities for years to come. Even the smallest non profit organization is likely utilizing IT resources to fulfill its mission, communicate with supporters and raise their profile. Unfortunately, in many non profits, these costs are often shouldered by volunteers and staff. While this is an inexpensive way of managing IT, there can be many complications. Software and hardware is outdated and incompatible with other systems. 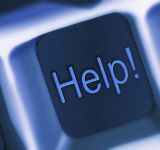 Due to the high cost of 'business phone lines,' many non profits rely on volunteers or staff land lines or cell phones. While internet access has improved dramatically in the last decade, high speed is still not available to all and in some cases is priced prohibitively for small non profit organizations. However, there are reasons to be optimistic with IT-specific programs designed to help non profit organizations. 1. Tech Soup Canada: distributes donated software and technology resources for Canadian charities, nonprofits & libraries. Along with day-to-day office software, non profits can find graphic design, database, anti-virus and server software for a nominal administrative fee. 2. TELUS: trying to determine how they can best assist the entire non profit sector. Through an annual membership with Volunteer Canada, non profit organizations can access directors and officers (D&O) liability insurance through Aon Reed Stenhouse at at 50% discount. Organization memberships vary in price from $80 to $100 per year. While non profit organizations have varying levels of risk/exposure, it is recommended to have directors & officers (D&O) liability insurance to cover your volunteer Board. Low cost 'Office Packages' to provide general commercial liability insurance may also be necessary. When reviewing insurance coverage and premiums, always contact the local brokers as they may be able to find a better fitting program for your needs and, given the same coverage, dollars kept in the community is something all residents can appreciate. Web summaries on famous people, places and events has been the territory of Wikipedia, until recently when schools and businesses have begun to use the wiki format to maintain an up-to-date record of specific programs, projects or contacts. Communities and non profit organizations can follow this simple online database model to maintain continuity and history for new employees and volunteers. 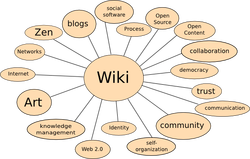 While there are many software models to choose from, www.wikispaces.com is the most popular.